Heat pumps can greatly increase the efficiency of your home cooling and heating system, saving you money and making your home more environmentally friendly. A heat pump works like an air conditioner acting in reverse, effectively keeping your home cold in the summer as well as warm in the winter. Unlike conventional heating systems that produce heat, a heat pump simply moves heat. 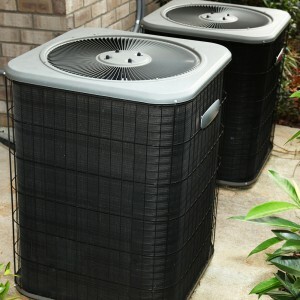 During the summertime, heat pumps remove warm air from within your home and transport it outside. In the winter, the process works in reverse, pulling heat out of the air outside and transferring it into your home. Heat pumps can be used in conjunction with a furnace to keep your home warm on especially cold days. Even without an additional furnace, many heat pumps come with an electrical heating element to help improve home heating on the rare occasion that the outside temperature drops below the heat pump’s ability to retrieve heat from outside. Want to know more about our heat pumps? Schedule an appointment online or give us a call at 1-800-937-6736.